The first comprehensive public opinion poll was conducted by ckarachi foundation last week has found that 92 per cent of Karachiites prefer President Musharraf over Zardari and want President Zardari to resign immediately. On Facebook, 105 people in total have participated in the poll, out of which 76 were in support of President Musharraf, only 5 supported President Zardari while remaining were either supporting MQM, Imran Khan or no one. Facebook results are gathered from number of likes, comments and poll application and has a margin of error of plus or minus 1.69 per cent. On Blogger, 14 people in total have participated in the polls out of which 13 supported Musharraf and 1 Zardari. Hence they declare Musharraf as clear winner of the polls. Analysts through this poll have identified several worrying trends for Zardari’s party including corruption, economy and judiciary. 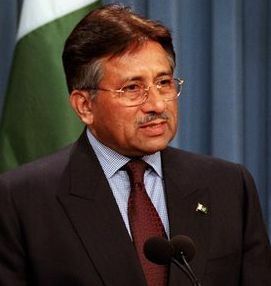 They also believe that return of Musharraf will bring in problems for him from Bugti's family.